Mohammed Kacimi was born in 1942, Meknes. A childhood educator in the 60s, Kacimi discovered painting when visiting Jacqueline Brodskis’ studio. 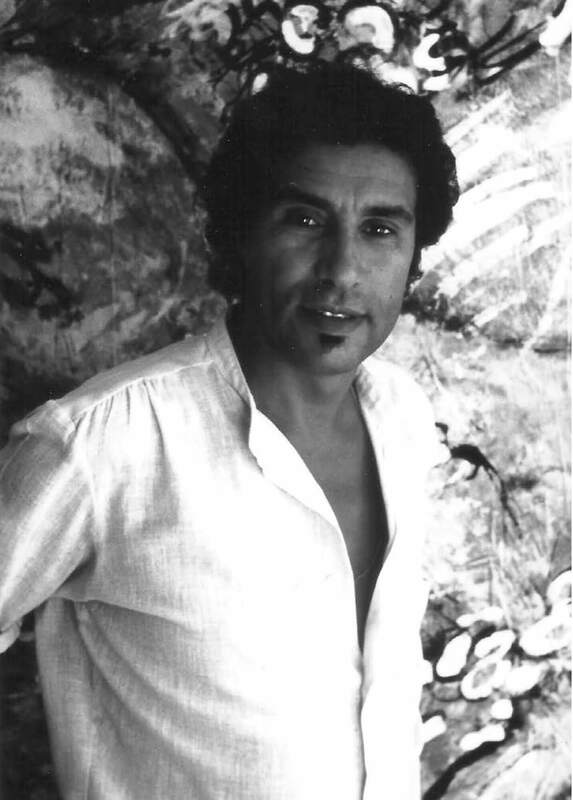 He rose to prominence in the 70’s, soon becoming a leading figure in Morocco’s visual arts. His work is recognized in both Europe and the Arab countries. He is one of the few Moroccan painters to be represented by a Paris gallery; Florence Touber. Kacimi was devoted a special issue by “La Revue noire”. “Le Monde diplomatique” regularly published reproductions of his paintings on its front page. Kacimi’s passion for poetry led him to publish books of poetry. He also had a keen sense of commitment to human rights, which took center stage in his work. Kacimi’s men are polished, filed and sanded down; they are cleared from any superfluous. To fathom their mystery, the artist dispossesses them of any blistering, reducing them to their most elementary appearance. Mohammed Kacimi passed away on October 27, 2003 in Rabat. 1988 7 Haïks of 7 x 2m painted across the city with the dyers of Marrakech. 1985 Basel international contemporary art fair. 2000 Seville. Barcelona. Madrid. Grenada. 1998 Exhibition at Maison de la Culture du Japon in Paris for the rankings of architecture. One of the artworks was silkscreened and donated as a prize.